Protected Planet is the most comprehensive resource of global, spatially explicit protected area information available. Apart from hosting the World Database on Protected Areas – and updating it on a monthly basis – the website also provides interactive maps to browse the protected area system of regions and countries down to the level of individual sites. 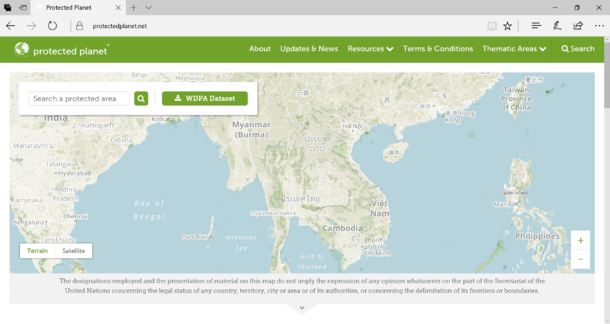 The ability to retrieve national PA statistics for reporting purposes and to download the WDPA GIS data for embedding it into spatial analysis adds to the utility of Protected Planet.